One of the ways I make extra money with Arts and Budgets is through affiliate marketing. Affiliate marketing is one of my favorite ways to make passive income. I love passive income because you can be anywhere and receive it. For example, I am currently an affiliate with Bluehost and I just made $130 in one day for two signups while I was with my son at home. So – What is affiliate marketing? With Affiliate Marketing you are rewarded for recommending and promoting products and services that you have on your blog. You will receive a commission for any sales that occur from your referral link. For example, if you are an affiliate for a survey site and post your direct link on your website, you will get rewarded every time someone signs up through your link. Pretty cool, right? There’s something for everyone in affiliate marketing. Some of the products you can promote are as follows: Cell phone companies, digital products, other blogger’s Ebooks and E-courses (after you have purchased them), clothes, crafts, blog-related products such as web design, web hosting and more. The opportunities are absolutely endless in this field! In this post, I list the top 6 affiliate programs I use to make extra money each month. ShareASale is totally one of my favorite affiliate programs because it has a great reputation for being totally legit and reliable. With over 19 years of service, this platform is one of the best to join for bloggers to make extra money. They offer pay-per sale, pay-per-lead, and pay-per-click programs and let you payout once you hit $50.00. What makes this affiliate company super awesome is that they have a lot of programs that can be a great fit for bloggers in any niche. Because of that I highly suggest joining this platform if you are looking to make money with your blog. Once, when you get accepted into the ShareASale program then you can apply to be an affiliate for the different companies on the site as well. Let me tell you– It’s A LOT of companies to pick from which makes it AWESOME! I love love love Blue host! Bluehost is a web hosting service and they were the first hosting platform that I joined when I first started blogging They are definitely one of the higher paying affiliate programs because you can make $65 per referral working with them. Michelle From Making Sense of cents made over $900,000 last year– What! Yup! She made over $900,000 directly from her blog and a large portion of that came from affiliate marketing through BLUEHOST! Check out her Girl BOSS Forbes article here. When I was apart of the Bluehost team I didn’t have any issues with my site and the only reason I went to another hosting. The only reason I switched to a different hosting platform was because my website traffic went up to over 60,000 page views per month and I needed a little bit more speed. So, if you are a new blogger or just starting out I highly recommend Bluehost for your hosting needs. I also recommend them if you are looking to sign up with a higher paying affiliate program. Their affiliate team is also amazing and willing to help you when you have questions. 50 + Resources To Help Grow Your Blog + Biz This Month! Let me just say Shopify is uber Amazing! I am pretty sure you have heard of them but they are a commerce platform that has everything you need to sell online, on social media, or in person. 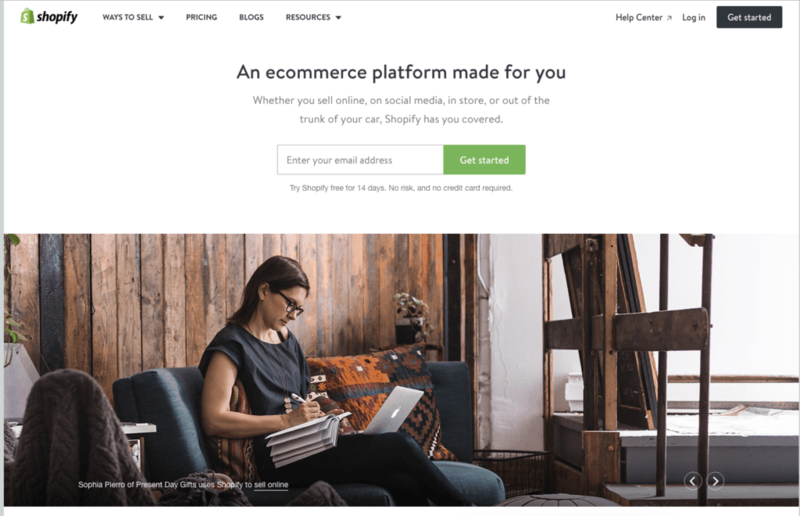 With Shopify, you have complete control over the look and feel of your online store and instant access to a ton of cool themes. Not only is Shopify an awesome place where you can sell online but they have a great affiliate program. They have a fast approval process and you can get up to $2,400 per sale! —whhhhhhattttt! Yup, up to $2,400 per sale! They also have great customer service! By far one of the best affiliate programs to join as a personal finance blogger is IGain! IGain is a team of individuals dedicated to helping advertisers and publishers in maximizing their earning potential. They were one of the first survey affiliate programs I signed up for and I am currently still with them. I absolutely love being a part of their team because the customer support is great. 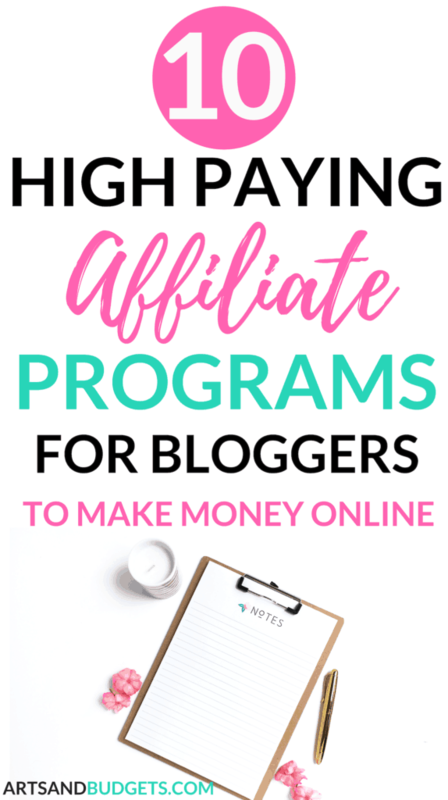 They are all really helpful and help bloggers pick out the best affiliate programs that fit into their brands. Signing up to be an affiliate with IGain was super easy to do and their fast customer support made it really easy for me to understand how to get set up. Some of their top paid surveys programs that I am apart of are Pinecone Research, Harris Poll Online, & VIPVoice. Swagbucks is a site where you can earn points daily and turn them into gift cards or cash every day. Once you get a certain amount of points you are able to redeem the points for gift cards to places such as Target, Walmart, Pay Pal, Applebee’s, Amazon and more. On the site, you are able to play games, watch tv shows, use it as a search engine and more to earn points every single day that you can turn into gift cards. By far one of the best ways to earn on Swagbucks is through their affiliate/ referral program. Each month I make an additional $150-$200 dollars in Paypal gift cards right from their affiliate program. So, if you are looking to make an extra $100 + a month totally check out his amazing program from Swagbucks. Who doesn’t love Amazon? This affiliate program is definitely one of the easiest ones to become a part of and it has everything you can possibly think of. Products such as video equipment, baby clothes, books, kitchen products, house products and more. Anything you can think of Amazon probably has it which means you can refer the products that you love on the site. One amazing thing about Amazon Associate program is that you will not only get paid for the products you recommend through your special links but if a person clicks on other items while on the site you will get paid for those products too. For example, If I recommend this Blue Yeti Mic (which is amazing if you want to do webinars, e-courses, etc) and someone clicks the link but gets to the site and actually buys something for their house instead of the mic, I will still get a commission. How awesome is that? There you have it! 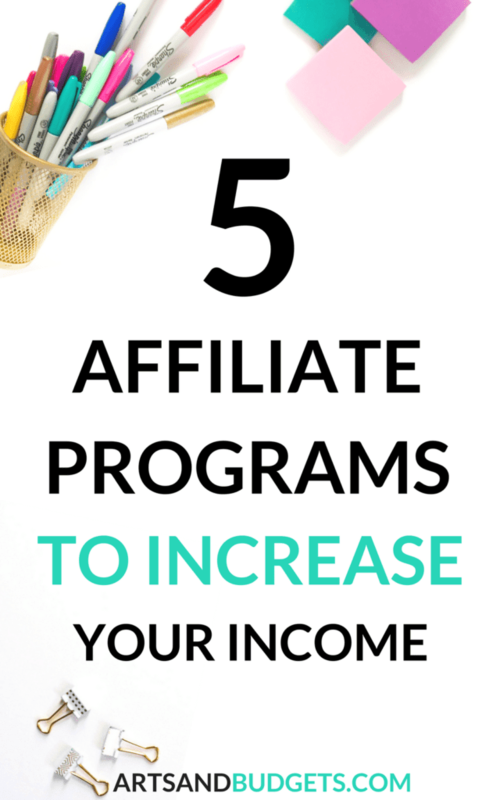 Over 5 of the best affiliate programs to get sign up for to make extra income with your blog! Oh! Also, in order to get your affiliate marketing sales going quickly, I always suggest setting up a resource or recommendation page on your site. Create a resource page with a list of your favorite products and, include your affiliate links. After that, make a pinnable image of the resource page and post it to a Pinterest board on your profile to promote it. For an example of how to set up a resource page, check out my resource page HERE. A course that I suggest if you are really looking to really go to the next level of SEO is, Stupid Simple SEO! This course goes over everything dealing with SEO and how to rank on Google the simple way. It is one of the best investments I have made in my blogging career and I highly recommend it to any blogger that is looking to learn the ins and out of SEO and learn how to rank on Google fairly quickly. Not only is the course amazing but the affiliate program is too. The course creator Mike Pearson only opens the course up every 3 months but when he does he allows his affiliates to earn 30% of their sale. Just recently I earned an extra $300 from just 3 sales. So, if you are looking to grow your blog with SEO and you want to join an amazing affiliate program I highly recommend Mike’s course Stupid Simple SEO and his affiliate program! I am currently with Big Scoot. and really love them. Once my site pageviews went up I had to switch to a new hosting platform so I picked non-other than Big Scoot.! If are you really look to invest in a great hosting platform I suggest Big Scoot to get the job done. In the long run, you will definitely want a host that can help with site speed as site speed can affect SEO which can affect organic growth and traffic. Not only is Big Scott an amazing platform to join once you hit a certain amount of pageviews but they also have a wonderful affiliate program that bloggers can join. With the Big Scoot affiliate program, you can earn 90% per sale and get $5 just by signing up. Ultimate Bundles offers bundles of ebooks, courses, and resources for highly discounted prices that range from 90 to 95% off of the original price. I recently purchased a blogging bundle of ebooks and courses from them and it was filled with over 70 courses and ebook all together and let me say it’s one of the best blog purchases I have invested in. If you are a new blogger or even an advance blogger I highly recommend checking out some of the bundles that this company has. They have everything from Money bundles to Blogging bundles. When you join their join as an affiliate you will receive 40% of commission for every sale that you make during their bundle launches. Another great program that I love is Ebates! This program is an amazing referral program that pays out quarterly. With this program, you can earn cash back from over 1000 stores online when you purchase through their website. As a blogger, you can also earn $5 for every referral that you bring to their site to sign up. Sign up for Ebates By Clicking Here! Well, that’s it for now! Oh, and make sure to disclose when you promote affiliate links on your posts as well. That’s just a friendly reminder to your readers that affiliate links are included in the post. I have been seriously thinking about starting affiliates, but had no idea where to start. This is super helpful. All good tips! I have not signed up with anyone yet so Ill consider some of these! Thanks a ton for stopping! Keep me posted on how the programs work for you too. Monetizing is my next step! Thanks for these great sites to start. Yay! Super exciting and you’re so welcome. Thank you for posting this. I use Shareasale and Amazon Affiliate a lot but have to check the other ones out. I very recently monetized my blog, so this was very helpful, thanks! Some of these I have used, but some are new to me. I will have to check those out, because I am always looking for ways to diversify. I have to say Amazon has been one of my favorites though. I love Sharasale and Amazon but I haven’t heard of the others! Thanks for the recommendations. I’m going to take a look and try to maximize my affiliate marketing strategy! I do the Amazon one, and I also do a similar one with eBay, except that I haven’t made any referrals with eBay. Amazon has been much better! Awesome example of some affiliate sites I haven’t heard of yet- I really need to get on making a resources page, that’s next on my blogger to-do list! I did Amazon with of my most popular posts, but never saw any return in it. I’m not really sure what I did wrong. Maybe it’s just not for everyone. I would love to learn more about this and get my blog to start paying off. I put a lot of time in it! I knew a few of these, but didn’t know that survey sites had affiliate programs. I plan to post this to my Pinterest board to come back to later. Thank you for this helpful article. Thanks for a great review of these affiliate sites. It would be easy if I was focusing on my business blog, but my life coaching blog is a little more challenging for products. I can always do Amazon though. I will check out the others you recommend as well. My site is on Bluehost, after all. Thank you for the tips! 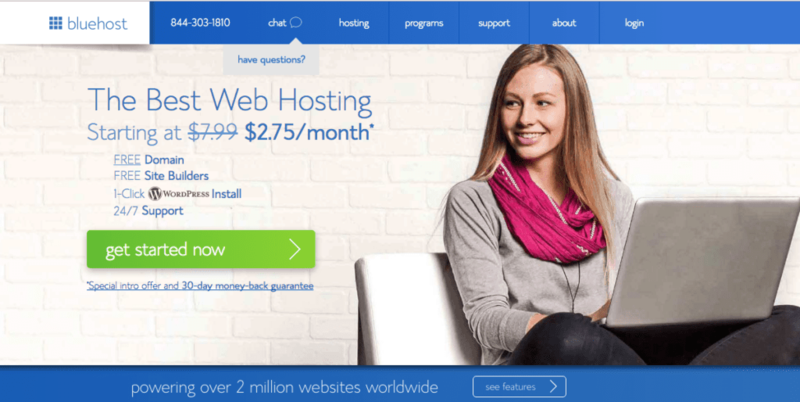 I am definitely going to look more into Bluehost…. very intrigued! I’ve used Amazon Affiliate on a few of my pages and I do have a ShareaSale account. So far I only work with 1 vendor who actually approached me. But I will probably consider working with more in the future. I’m picky because my blog is where my coaching clients find me. So I don’t want to be send too much of my traffic to other sites. This is super helpful, thank you for sharing, as a new blogger it is really to know what has been tested, not, and what works or what is not worth your time. Thank you for sharing. Affiliate marketing is one of the best ways to make money while blogging. I love it! I only wish I had started sooner. I have Amazon Associate but haven’t heard of the other ones! This is great information to know as I build my blog. Thanks for sharing this! These are great and I didn’t even know about some! I am part of Share a Sale but I don’t really do much with it, I need to work on that. I also need to sign up with amazon. THanks for the information. I have been researching this lately and need to start doing it on my blog! I have often wondered how effective affiliate marketing could be. You have answered a lot of my questions and pointed me in the right direction to get started on it with this post. Thanks! I haven’t explored Affiliate links yet, but it is something to consider. It seems like an easy way to monetize your blog. Affiliate Marketing is a valuable tool for bloggers. It can help bring in some extra income to your site. Cindy Ingalls recently posted…Springtime Safety Tips for Your Pets! I have not monetized my blog yet. But I will at some point. These are great tips for those starting off their blog and wanting to know the ins and outs of monetizing their blog. These would have been great to have back in the day when starting up! Jeanine recently posted…The New D-Link Omna 180 Cam HD: Keep a Close Eye on Your Home (and silly pets!) On The Go! Awesome post! I use shareasale but didn’t know some of the companies you listed worked with them! Thanks for this list. I can’t seem to break the amazon threshold but I’ll keep trying lol. I also want to check out the Jucie one. I have not heard of most of these. Of course, I also don’t have bluehost so I can’t be an affiliate. I do belong to shareasale though. Great List! I’m already using Amazon, so i’ll have to check out these others too. For my blog, seems like Amazon Affiliate is the best bet and I am realy a member of it. Nevertheless it’s good to know about the other companies too. These are great tips. I’m definitely not taking advantage of most on this list like I should be! I would love to jump into the world of affiliate marketing, but I need a little more time to weight the pros and cons of popular options. I haven’t heard of OfferJuice before, but I’d like to look more into Shareasale and Amazon Affiliate first. I’m always trying to educate myself on lucrative affiliate programs so I appreciate this information. This is a great resource for new bloggers. There are plenty of ways to make money online but affiliate marketing is definitely one of the best. I think this is a pretty awesome list! A lot of people will appreciate this post. I am an Amazon affiliate, but hadn’t heard of the rest of these. Definitely need to look into them. So helpful! Going to try these out! Thanks for this! I had not heard of #5 and #6 before – need to pin as well! Thanks for sharing! I’ve been trying to find more ways to monotize my site! Thank you for this amazing Article. I saw your post on Pinterest. One of the best article on Affiliate Marketing. Keep up the good work. I’ve started using ShareASale, but haven’t had much luck just yet. I really need to focus on bringing in traffic as of right now. I’m definitely going to check our the other affiliates you’ve listed once my traffic grows! I hadn’t heard of a few of the ones you listed, so I’m glad I found your blog ? nice post. i like the post very much.thanks sir for your nice post. Hi! Do u have to have a blog to afffiliate? Thank you so much for sharing this amazing article. It was so informative. Great article, I’ve been looking at ways of monetizing my blog through affiliate marketing and you have given me some great ideas in this very informative blog.